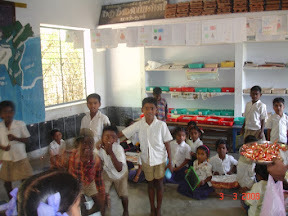 Providing 2 sets of school uniform to 22 poor students project and deploying teacher at GOVT MIDDLE SCHOOL, MATHOOR, TAMIL NADU – Project Reports. Thanks a lot for your wonderful support to execute TWO major projects at GOVT MIDDLE SCHOOL, MATHUR, Tamil Nadu. 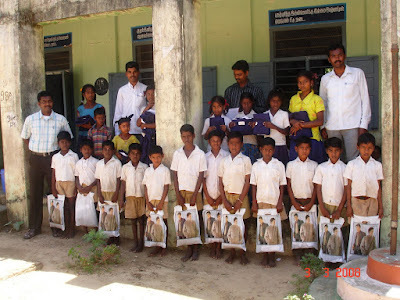 India Sudar identified 22 poor students at Govt Middle School, Mathur, Tamil Nadu and provided TWO sets of School uniforms on 3rd March 2008 along with 150 Pens, 29 slates, pencil and rubbers. IS appreciates all the volunteers given their full support to execute this project and brought SMILES into 22 poor student’s life. Please find the project report attached with this mail. IS express our heartily thanks to Dream India 2020 Group (Natarajan, Krishnan and others), Archana, Jayasree, Nandhini, Balaji ,Shiva Narayanan ,my local friends and my family members. 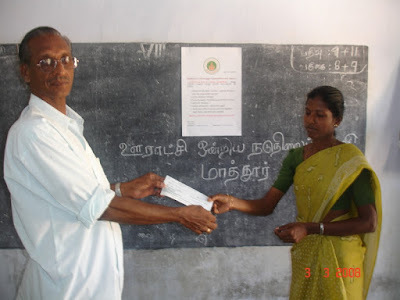 India Sudar identified the shortage of teacher at Govt Middle School, Mathur, Tamil Nadu and deployed a teacher for the benefit of about 50 students. The Teacher name is Miss. S Suganthi and she had completed her M.Phil in commerce. She agreed to receive our compensation Rs. 2000 per month, would be working as teacher until April 2008. We would continue this project from June 2008 for the next academic year. We are looking for sponsors to continue from next academic year. Please contact me or admin@indiasudar.org, if you wish to support for this project. Please find the detailed project report attached with this mail. I’m discussing with Headmaster and local people to collect data from 30 govt schools from nearby villages and provide necessary things to support their education. Please let us know, if any of you willing to support for this project. If any of IS member is interested to collect data from any village school (mainly focusing on rural areas) and share the data with us, we can work on to support them.